TITLE: “The Evolution of a Weather Modification R&D program Into a Military Weapons System” (PDF) A 1986 Critique of the 1966 initiative. Carl Sagan reported in his 1980 series “COSMOS” that he considers melting arctic ice as essential to successful terraforming of Mars for restoring an atmosphere for human habitation. In 1990, the Department of Defense published a chemistry manual for future pilots at the US Air Force Academy titled “CHEMTRAILS”.Like many book titles, ie: “The Grapes of Wrath”, “The Old Man And the Sea” and the “Holy Bible”, the title never appears inside the book to be explicitly explained. Likewise, the content of the Chemtrails Air Force manual does not attempt to define the title. Instead, the content of these books provides the nuanced or implied sentiment to the title., perhaps whimsical title, “CHEMTRAILS”. When we refer to an automobile as a “Ford”, the intent is to define the manufacturer of the car based on appearance. Likewise, when observers refer to jet trails they are differentiating the species of trail as either a contrail or chemtrail, based on “appearance”. The Section on “Energy Simulator Handout” (p. 64-74) explains global oil reserves, peak oil and the status (1990) of various domestic and industrial energy reserves. This academic departure from chemistry to teach global energy politics as a requirement to become an Air Force pilot brings implicit meaing to “chemtrails” and suggests the mission could more likely involve offensive weapons rather than strategies for defense. Remember when the Public Thought Arctic Warming was a Good Idea? To diminish the global temperature by 1.2°C could be doable, “bylaunching a ring of dust particles into equatorial orbit, a modification of an earlier Russian proposal to warm the Arctic”. 1946 Village Voice article from 2005 reporting on theMay, 1946 issue ofMechanix Illustrated that featured several arctic-warming geoengineering proposals. One “brave new idea” was proposed by Julian Huxley, then the Secretary-General of UNESCO, and brother of Aldous Huxley, that would detonate atomic bombs to warm the Arctic. In the 1960’s Geoengineering proposals to warm the Arctic took a largely unexplained U-turn when oceanographer,Roger Revelle’s research concluded that carbon dioxide was already warming the climate for free and without the need for expensive and risky geoengineering projects. The flip-flop from finding ways to warm the arctic to suddenly finding ways to keep the arctic from warming was announced in 1963 – the year following the sudden death of Meteorologist, Harry Wexler. Having total awareness of the military’s 1958 weather weapons program, the National Academy of Sciences (NAS)recommended the appointment of a “Panel on Weather and Climate Modification”.source This event could serve to consolidate military and civilian weather modification programs for peaceful purposes or – if necessary – as covert weather modification and even climate warming operations secretly carried out by the military under the catch-all justification of “national security”. 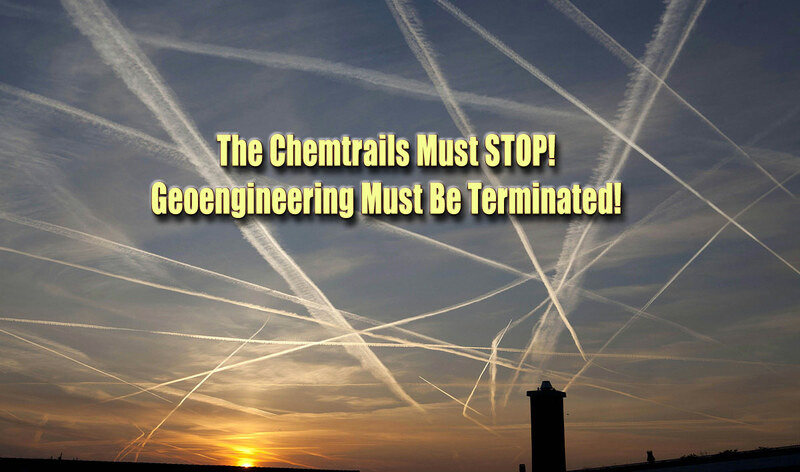 In 1966, a report from NASA to ICAS (Independent Committee for Atmospheric Sciences of the National Academy of Sciences, NAS) was the first step in establishing a national Weather modification program that would ultimately involve multiple federal agencies. The report focused on four initial agencies:ESSA, NSF, NASA, and the Dept. of Interior’s Bureau of Reclamation. In his 2011 book, Here on Earth: A Natural History of the Planet, scientist and author, Tim Flanneryreminds us that proposals to melt the Icecaps were advanced after World War II by reputable figures including the first director-general of UNESCO (Julian Huxley-1946), by a top official at the U.S. Weather Bureau, and by a Russian oil engineer Petr Mikhailovich Borisov. Scientific conferences debated the merits, while mining and energy corporations contemplated the use of nuclear detonations in the extraction of coal and oil. In a related scheme, a proposal was floated to store nuclear waste in theAntarctic. The plan would allow specially designed canisters of hot radioactive waste to melt down through the ice until it reached the “ice-rock interface” where it would supposedly remain in cold storage for 250,000 years.